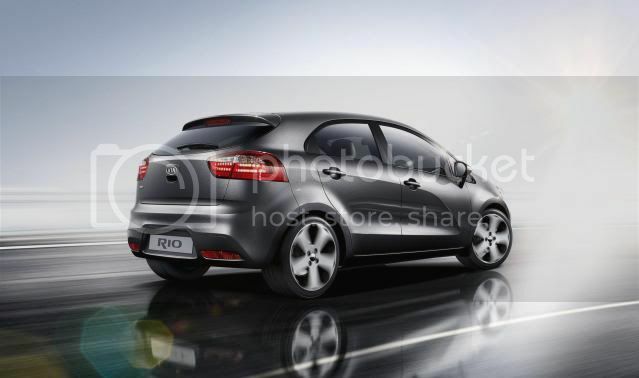 Kia has launched the all-new Rio supermini at today's Geneva motor show. 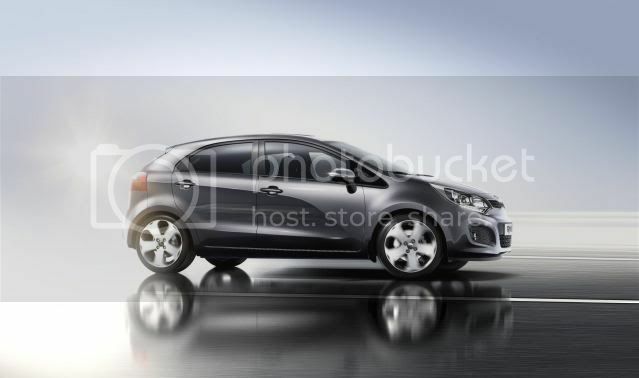 The new Rio centres on the Hyundai i20, but unlike the i20, the Rio features eye-catching style and was designed at Kia's European design studio in Germany, under the firm's design executive, Peter Schreyer. 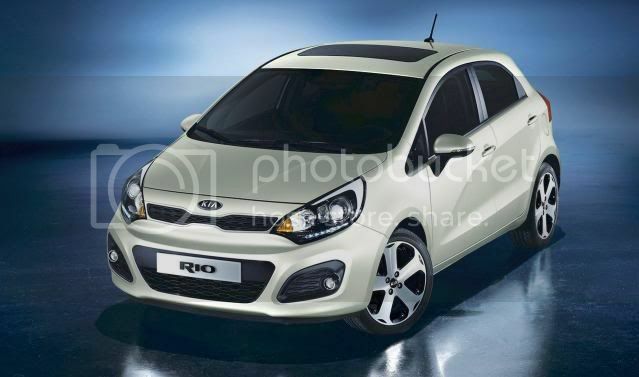 Since its launch in 2005, global sales of the third-generation Kia Rio have totalled in excess of 860,000 units. 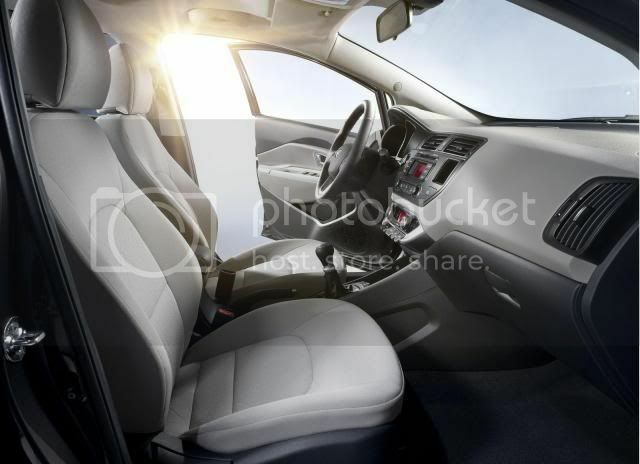 It was the company's third best-selling vehicle in overseas markets during 2010 with sales of more than 219,000 units. 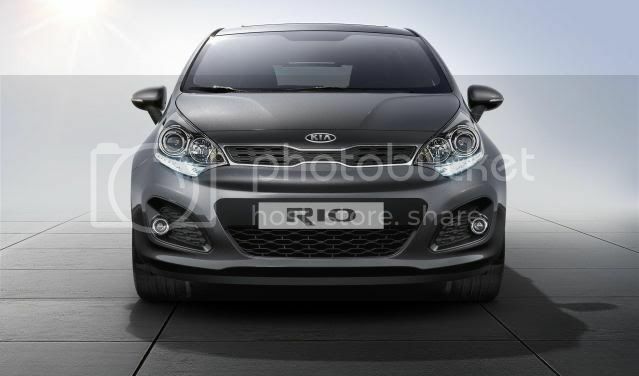 Defined by large headlights, mean lower fog lamp surrounds, and the trademark “tiger” grille, the Rio is longer (by 20mm), wider (by 25mm), but lower (by 15mm) than the outgoing model while also being lighter. The wheelbase is extended by 70mm, to 2,570mm to enhance passenger space and cargo capacity. 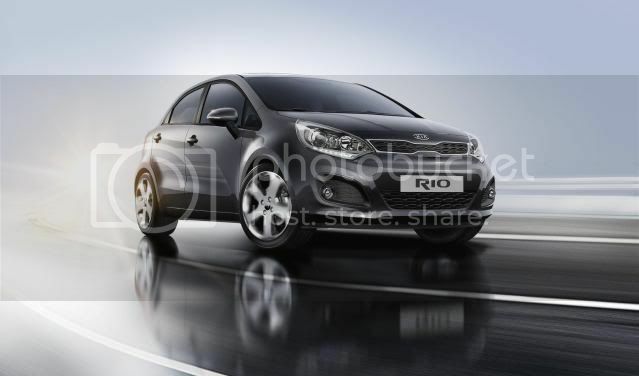 With an overall height of 1,455mm, the Rio is one of the lowest cars in Kia's European product range. Luggage capacity is now rated at 288 litres, however, 60/40 split folding rear seats will allow for more space. The interior was designed by the company's Californian design studio in the U.S. Two interior combinations will be offered; Cognac Brown or Desert Grey, with the UK receiving the latter. Externally, 10 new colours will be made available including Wendy Brown and a Graphite Grey, both colours with a “classic premium flavour”, according to Kia. 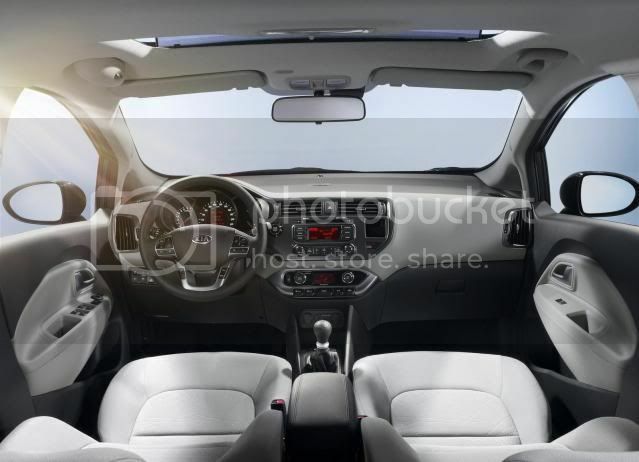 Optional and standard equipment will include keyless entry w/push-button start, RDS radio/CD player w/MP3 compatibility, AUX, iPod and USB connections, Bluetooth w/voice recognition, cruise control, climate-control air-conditioning, hill-start assist, tyre pressure monitoring system, cornering fog lamps, xenon headlights w/LED day-time running lights, adjustable speed limiter, x6 airbags, rear parking sensors, active front headrests, ESP, heated front seats and a heated steering wheel. In some markets, the dashboard will come pre-wired to accept an optional portable navigation system. 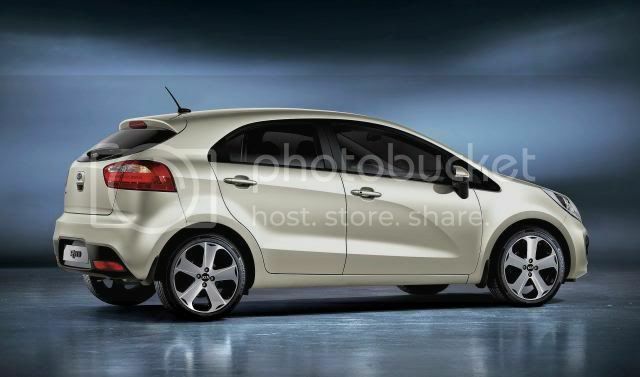 Because the outgoing Rio's engine line-up isn't Euro5 compliant, the engine will be completely revised. Four engines; two petrols and two 'U2' diesels will be provided, developing between 69bhp - 108bhp (70PS – 109PS/51kW - 80kW). They'll sport three and four cylinders with the cleanest 1.1 CRDi diesel emitting a mere 85g/km and returning 88mpg (3.2l/100km) combined. An entry-level 84bhp (85PS/63kW) 1.25 litre 'Kappa' will be linked to a 5-speed manual gearbox and develop 118Nm (87lb-ft) of torque, while a more powerful 1.4 litre 'Gamma' will produce 108bhp (109PS/80kW) and 136Nm (100lb-ft) of torque. This has a top speed of 112mph (180km/h) and will complete the 0-62mph (100km/h) sprint in 11.5 seconds. The former returns 59mpg (4.8l/100km) and is hooked up to a 6 speed manual. A 4-speed automatic will be offered optionally. The base 1.1 CRDi kicks out 162Nm (119lb-ft) of torque, while producing 69bhp (70PS/51kW). The bigger 1.4 CRDi produces 89bhp (90PS/66kW) and 216Nm (159lb-ft) of torque. These will be mated to a 6 speed manual. 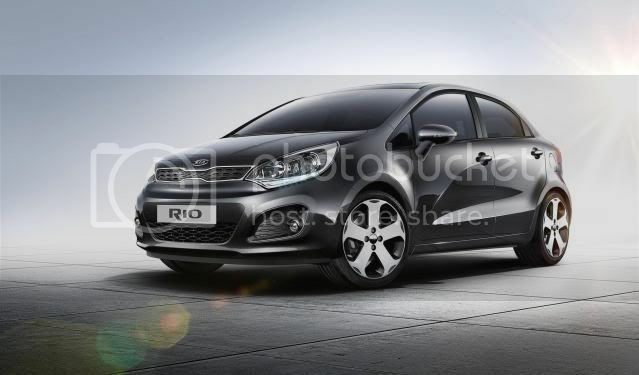 Regular Rio models will have a CO2 rating of 94g to 124g/km. In Europe, these figures can be further reduced by specifying Kia's optional fuel-stretching ISG technologies (automatic stop-start, advanced alternator control, upgraded starter motor and low-rolling resistance tyres) - available on all models. Equipped with ISG, the Rio's emissions will range from 85g to 114g/km, so the two diesel models (under 100g/km) qualify for local emissions-based tax savings, where available. For these models, fuel economy will range from 88mpg - 59mpg (3.2l/100km – 4.8l/100km), contributing to lower running costs. Sales start in September for the five-door, while sales of the three-door start in December.